Insight Vacations, the global leader in premium guided vacations, is recognising the diverse interests of clients by offering Special Interest Journeys and magical experiences around the world. Exclusive departures complement the various range of trips available and are specific to those interested in journeying beyond the ordinary to satisfy specific lifestyle interests including gardening, photography, art and more. Insight’s loyal Travel Advisors can encourage their clients to book early since these are limited departures and the Canadian Battlefields of Europe Special Interest itinerary to commemorate the 75th Anniversary of the D-Day landings is now sold out with a wait list. In addition, Insight Vacations can customize a group departure for clients’ special interests. Made for lovers of art, this journey has guests visiting some of the best art galleries and museums in Europe in true style. Guests visit the Vatican Museums, the Sistine Chapel and Galleria Borghese and taste the flavours of the region in Orvieto by joining a local chef for a fascinating cooking demonstration and wine tasting, while in Italy. With a Local Expert, guests visit the Uffizi Gallery in Florence and enjoy the works of Michelangelo, Botticelli and Raphael, before heading to Vinci en route to Milan, the home town of Leonardo da Vinci on the 500th anniversary of his death. After one more stop in Italy, the journey continues to Switzerland where clients explore Basel with their Travel Director, concluding with a visit to the Foundation Beyeler, one of the most beautiful art museums in the world, showcasing contemporary artists. In Paris, the Louvre is surely not to be missed and the following day, guests join their Local Expert to visit the Musee D’Orsay. The journey concludes in Amsterdam to admire the famous masterpieces in the Rijksmuseum. 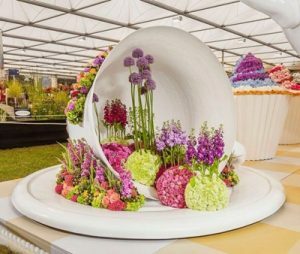 For gardening lovers, clients will explore the mecca of all flower shows, the Chelsea Flower Show in London and in the evening, dine on a scenic Thames River Dinner Cruise. As an Insight Experience, they will also take part of the famous Aalsmeer Flower Auction in the Netherlands, visit a traditional Dutch windmill and the village of Volendam, known for its colourful wooden homes and the harbour lined with seafood vendors. In Bruges, guests will cruise along the canal and then visit the renowned Châteaux of the Loire Valley, beautiful Chenonceau Castle and the most magnificent Château de Chambord, before experiencing the magnificent palace and gardens of Versailles. The journey concludes with the garden of Giverny that inspired many of Claude Monet’s masterpieces. After exploring Dresden and Berlin, clients will be welcomed in Munich with an orientation tour which shows them the Feldernhalle on the Odeonsplatz, the Palace of the Dukes of Wittelsbach, English Garden, Hofbrauhaus, St Peters Church and the famous Marienplatz. Next, guests enjoy a private invitation to exclusive seating in the renowned Ochsenbraterei Tent to celebrate Octoberfest. This afternoon, clients will enjoy the festival atmosphere, amusement rides, entertainment, beer and local Bavarian specialities for dinner as their host ensures a great time for all. Later, clients join special guest Patrick von Ritchthofen, known as ‘The Red Baron’, for an unforgettable conversation and a Celebration Dinner. In Melk, they join a river cruise along the stunning Wachay Valley and experience thevineyards and cellars of the local winery to learn about and sample the unique Wachau-style wine. In Vienna, clients will experience a concert of classic Viennese music and dance combined with a delicious meal of traditional Austrian fare in the evening.